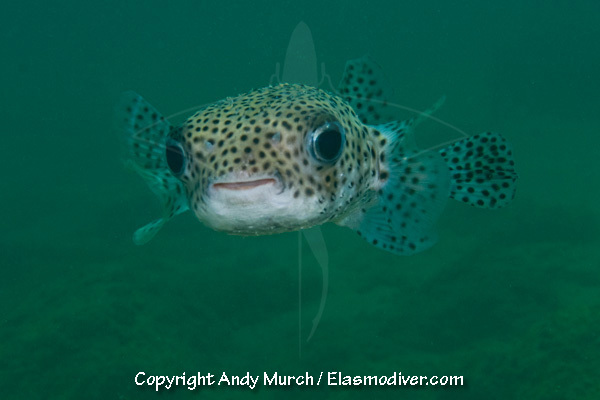 The Black-Spotted Porcupinefish - Diodon hystrix is found throughout the tropics in the Atlantic, Pacific and Indian Oceans. It is a very large pufferfish that can be distinguished by its long relatively slender body and enormous rounded head. 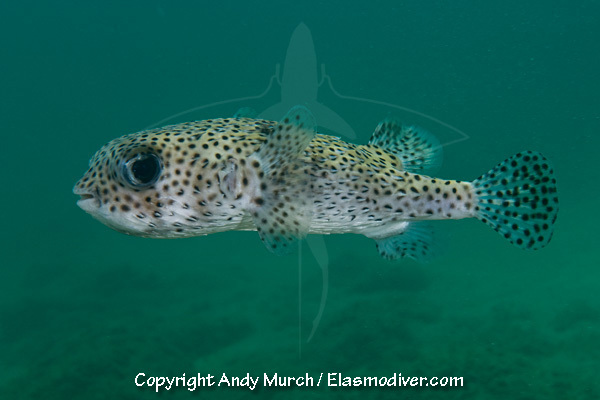 These Black-Spotted Porcupinefish pictures are available for commercial licensing. For further information regarding usage please e-mail Elasmodiver. All of the images on elasmodiver.com are rights protected. No unauthorized use of these White-Spotted Puffer Fish pictures is permitted. Please contact elasmodiver for further information.